Protecting the Environment: What are the Benefits of Public Outdoor Spaces? 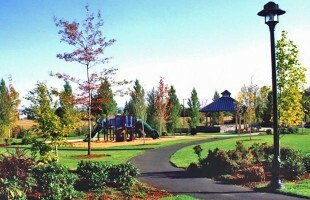 Public outdoor spaces create economic, social and environmental value for the community. Public spaces are all around us and have become important parts of the everyday life. This includes the streets that are used to get to school or work, playgrounds for children, community parks where we enjoy recreational sports, walk the dog, sit in leisure time or walk the trail taking a relaxation from our busy schedules. The benefit of having these outdoor spaces exceeds the cost of construction and cannot be overlooked. Outdoor spaces have a major impact on the economic life of the community. The presence of a vibrant businesses community is key to economic development but can be very competitive to attract health businesses. One thing that can attract businesses are good parks, gardens and the availability of other public spaces. Companies are often enticed by locations that offer well-designed, well-built and managed public places. These in turn attracts customers, dedicated employees and ripple effects, including socio-economic benefits, for that community. Development Conference on Antipsychotic Drugs and Obesity and Diabetes,” maintained that “weight gain occurs when more energy is ingested than is expended. Therefore, weight gain is due to increased energy intake, decreased energy expenditure or both.” Public administrators must be cognizant of these problems and work to address. One proposed solution is expanding access to quality and well-maintained public spaces that can help improve the physical health of residents. In addition, residents should be encouraged to walk more and participate in sport. Experts agree that open public spaces can be a powerful weapon in the fight against obesity and ill-health in the community. Children and young adults are able to develop well when they play. Play is crucial to many aspects of a child’s development. Through play, children are able to acquire social skills. Children are also able get the moral understanding, cognitive skills in the form of language and comprehension, as well as the physical skills. Children are entitled to play and the U.N. Convention on the Rights of the Child established by Article 31of the U.N. Convention on the Right of the Child states that “children have the right to play, recreation and culture.” Preventing them access to the playground will be against this convention. Lack of playgrounds deprives children with far fewer opportunities to play freely outdoors and experience the natural environment in their various communities. Quality public spaces help to fill this gap and provide children with opportunities for fun, exercise and learning. In conclusion, the importance of public outdoor spaces cannot be overlooked. Personally, we benefit from quality outdoor spaces in addition to the economic benefits it brings to the communities. Investment in public spaces can spur employment as individuals will be needed to supervise and manage the parks. The use of public outdoor spaces also helps in improving health. Finally, it allows children an access and opportunity to have fun and support their development. Through play, children acquire social skills and are better able to respond to the emotional crises of childhood. It is a good idea to have these public spaces for the benefit of the community and residents. Author: Ernest N.Y. Annoh-Dompreh, a veteran of the United States Army, was born and raised in Ghana, Africa. He has a master’s degree in public affair-nonprofit and community services from Park University and a master’s of business administration-project management from the Keller Graduate School of Management, DeVry University. He is currently a doctoral student at Capella University School of Public Service Leadership (Multidisciplinary Human Services–Specialization). Ernest is the founder and CEO of Bakus Group of Companies, located in Austin-Texas, with a subsidiary in Ghana. His contact e-mail:[email protected]. One Response to Protecting the Environment: What are the Benefits of Public Outdoor Spaces? Nice piece. Great contribution so far. We will have to take our environment serious.